JMR Electronics, Inc. a leading manufacturer and systems integrator of scalable storage solutions announced today the general availability of their new Lightning(TM) series of Thunderbolt 2 certified storage and expansion products. The new product family are now fully Intel and Apple approved, Thunderbolt certified for Mac and Windows*, and represents the widest and most comprehensive line of Thunderbolt 2 to PCIe offerings in the industry. The complete line of JMR Lightning storage and expansion products are aimed at Mac and Windows* users, and businesses having only Thunderbolt expansion available, but want to connect to PCIe peripherals and adapters which are widely used in the content creation, management and delivery markets. Further, all of the Lightning expansion and storage products are expandable by daisy chaining them to other Thunderbolt devices. 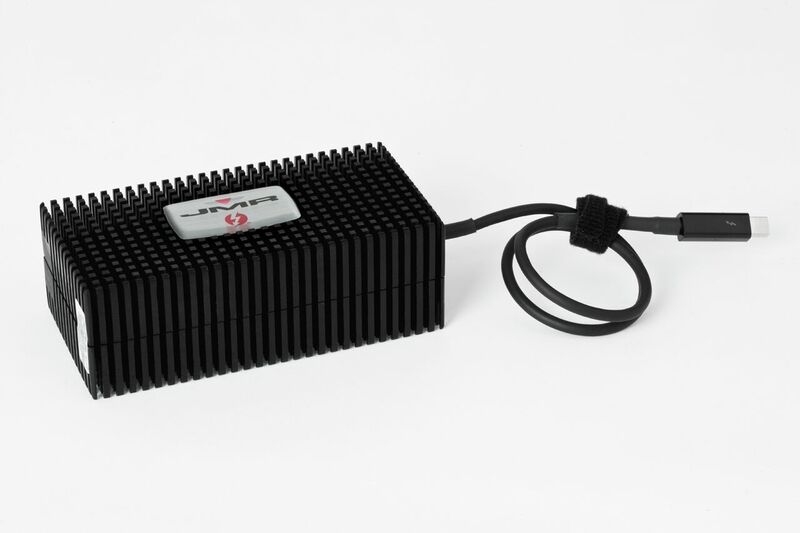 The Lightning-XQ “Quad” products offers extreme performance and versatility at an affordable price point, and are based on JMR’s unique Thunderbolt 2 to PCIe adapter boards which use two Thunderbolt 2 bridge controllers to take advantage of two 20Gb/s I-O connections to the host computer. The unique variants of each Lightning model are in the packaging and additional features, such as an on-board RAID storage system; provision for desktop or rackmount installation; and now released provision for mounting the Apple Mac Pro computer inside the largest 8 bay tower/rackmount model LTNG-XQ-DTMP JMR Quad Slot Thunderbolt storage Expander. "We are very pleased to offer the widest and most comprehensive line of Lightning products now fully Intel and Apple approved and Thunderbolt certified," said Josef Rabinovitz, president and CEO of JMR Electronics. "Our new Lightning products offer affordable and powerful Thunderbolt 2 to PCIe expansion and storage for both mobile and fixed media-centric applications where ruggedness, versatility, high performance and absolute data integrity are required for prosumers and professionals alike. For instance, the LTNG-XTD (portable Thunderbolt SSD storage) is the ideal, portable and ultra light-weight storage complement for creative and business professionals needing a high performance shuttle drive for in-house and offsite workflows — from viewing and editing digital dailies, to being used as a scratch disk, ruggedized transport medium or back-up tool. For high-end applications when using a Mac Pro requiring the utmost in performance, the LTNG-XQ series is the only four slot Thunderbolt 2 to PCIe desktop and rackmount expander with optional 8-bay RAID storage in the industry. The LTNG-XQ series provides two independent Thunderbolt 2 circuit bridges, quad 20Gb/s Thunderbolt 2 I/O ports and has internal mass storage with its on-board 8-drive RAID subsystem and internal SAS hardware RAID controller. The advantage of this architecture is enhanced operating bandwidth for demanding applications which can utilize all of the 20Gb/s bandwidth available from each Thunderbolt 2 port. 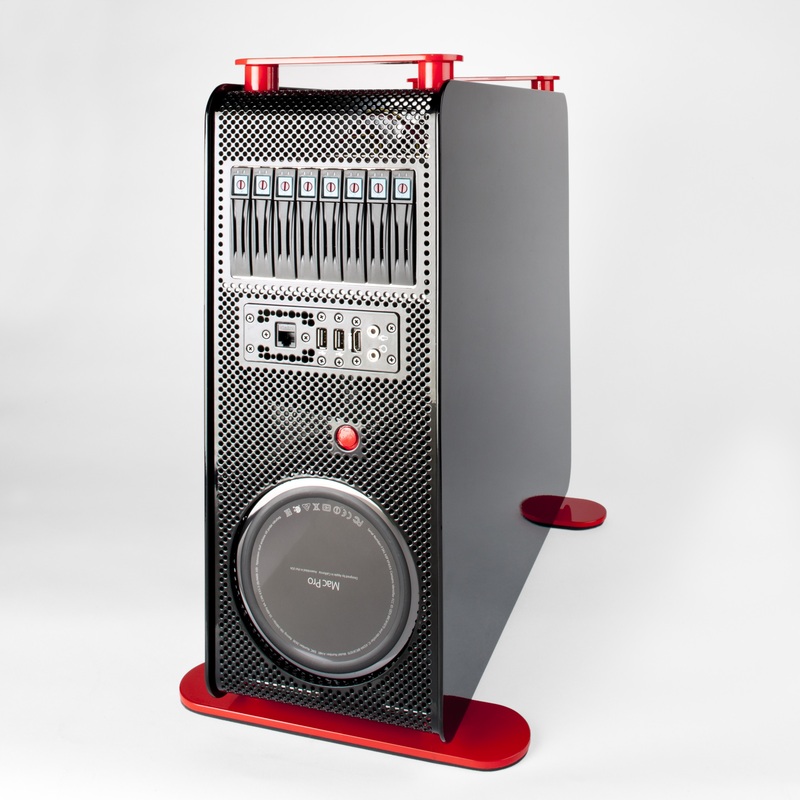 Bottom line, our new family of Thunderbolt 2 products offer outstanding return-on-investment for users and resellers alike, whether you need to acquire and transport content to finalizing and repurposing content for revenue generation; or for resale — a win-win for all." JMR is a leading manufacturer and systems integrator of scalable storage systems for high performance and capacity driven applications for multiple markets including; video and post-production, military and government, education, VOD, DCC, gaming, security, medical imaging, HPC and Web 2.0. Since 1982, JMR’s reliable and innovative RAID systems are proudly made in the U.S.A., manufactured entirely from their Chatsworth, California facilities. JMR’s complete line of Lightning™, SilverStor™ and BlueStor™ Cloud-ready rackmount and desktop solutions are built to handle the most demanding project needs from ingest to deliverable. Reliability. Innovation. Performance. This is JMR. For further information please visit jmr.com or call (818) 993-4801. For sales, call (818) 993-4801, x190.